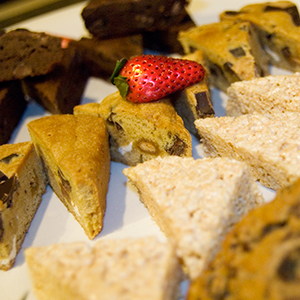 The deadline for placing an advanced catering order is 2 business days before your event. If you miss this deadline, you may order off the limited selection day of event menu inside your suite. T-Mobile Park is known for amazing baseball action and fans with discerning tastes know that the best way to enjoy a game here is from one of the luxury suites. You get lots of perks and amenities not offered to guests outside the suites and one of those perks is catering in your suite! 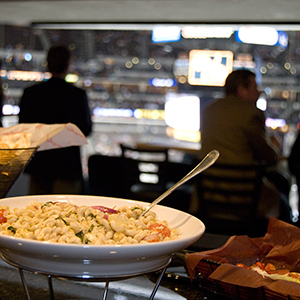 You can leave the concession lines for everyone else to wait in and enjoy gourmet food served right to your private suite for you and your guests. 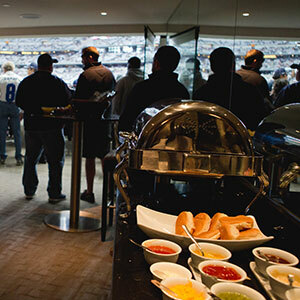 SuiteHop knows how catering can take your private suite gathering from great to amazing! 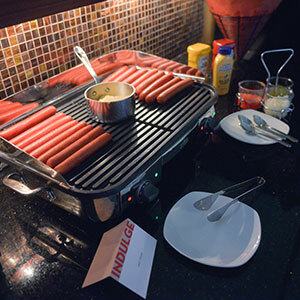 The chefs inside T-Mobile Park are passionate about bringing you the best to your suite. Choose from the pre-set menus that were expertly designed for suite gatherings or create your own menu to meet the specific needs and tastes of your guests. With fresh, local ingredients, your in-suite food service will embody the eclectic tastes of the pacific northwest. Customize your bar selections in suite as well. 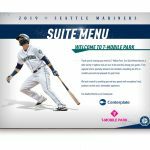 SuiteHop created a custom catering guide for T-Mobile Park to give you all the information you need in one place. 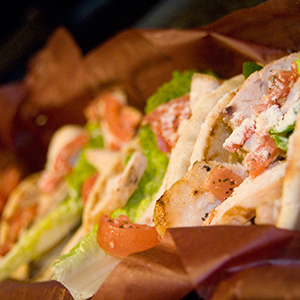 Read our tips and tricks for making a perfect catering order. 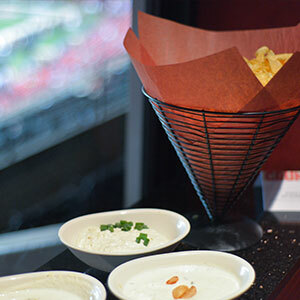 Check out the menu options for T-Mobile Park suites to order the most popular selections. If you have any other question, your SuiteHop expert is ready to help. Ordering catering is a complex and confusing process. To help extend your catering budget, we recommend selecting family style items (such as pulled pork) instead of individual portions (steak). Most catering menus, including those at T-Mobile Park, require a minimum order of 6 portions. You do not have to order portion for every guest you are expecting to attend. This menu is based off the most popular suite catering options. Items are subject to availability. Don’t be left in the dark about the complexities of a catering order and end up with a surprisingly expensive bill at the end of the evening. We’ve put together a list of our top Suite Catering Tips for T-Mobile . Be aware of the service fees. Typically, an additional 17% + sales tax is added onto your final bill to cover service costs from Centerplate. Be aware food and beverage services will have a last call. Your suite attendant should warn your group prior, typically during the 7th inning.